Hogs are stunned using electrical stunning methods which produces insensibility and then cardiac arrest. This method is approved as a humane method of slaughter and each animal is observed before, during, and after stunning by a USDA inspector that is present whenever any cattle are slaughtered at this facility. We also have a robust humane handling program established which we monitor at all times and USDA verifies on a regular basis. Proper treatment of livestock is critical to our success as a business and we continue to improve and adjust our processes as necessary to ensure that this critical step is performed correctly. Please click here to view the animal handling guidelines that we adhere to. 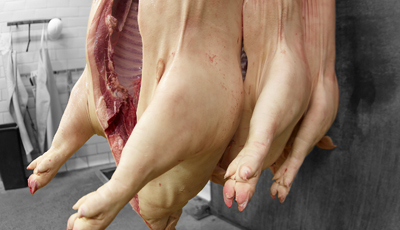 Hogs are then scalded which enables our customers to utilize as much of the carcass as possible. Further processed items such as sausage, hams, & bacons are all available. 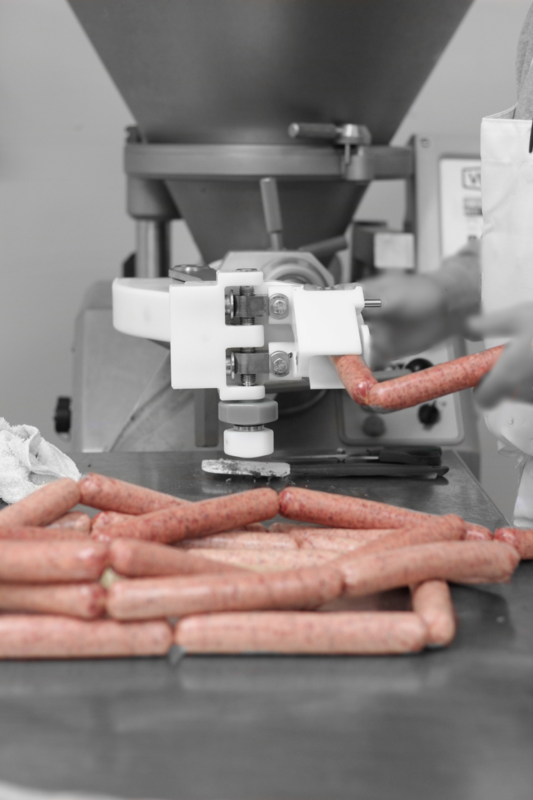 Regular and No Nitrate Curing options also exist for the majority of the products that we offer.